Since June 20, the excavation work has continued several days a week. Reportable artifacts have been found. During this July 14 visit, the excavation pits had slowly grown deeper and the piles of sifted earth have grown. 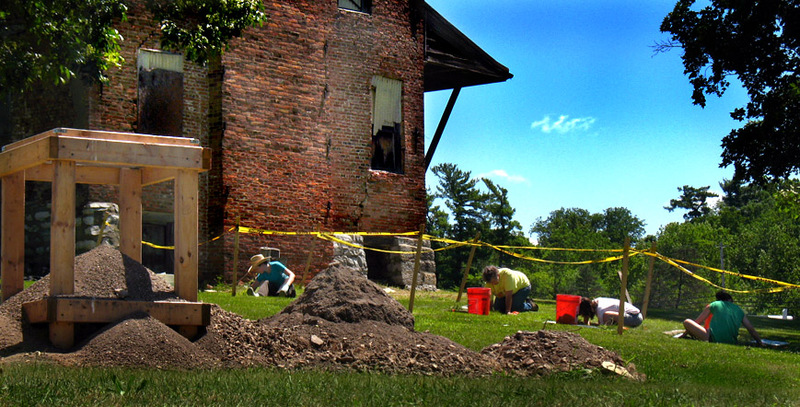 The NYS State Museum staff and volunteers have collected numerous artifacts, all documented and stored in labeled bags. Photos of some of the collected items are provided below.